There was to be a fine, dry start to the day according to the forecast although it would cloud over during the afternoon. 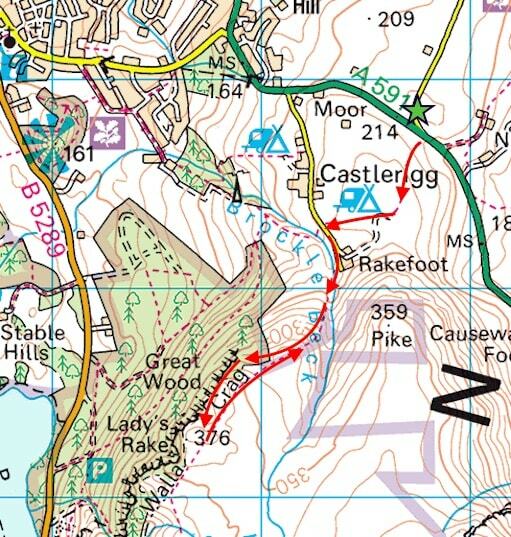 This was unexpected, so we seized our chance, and not having had anything planned in advance thanks to the constant rain, we decided to drive over Keswick way and have a short walk up Walla Crag. 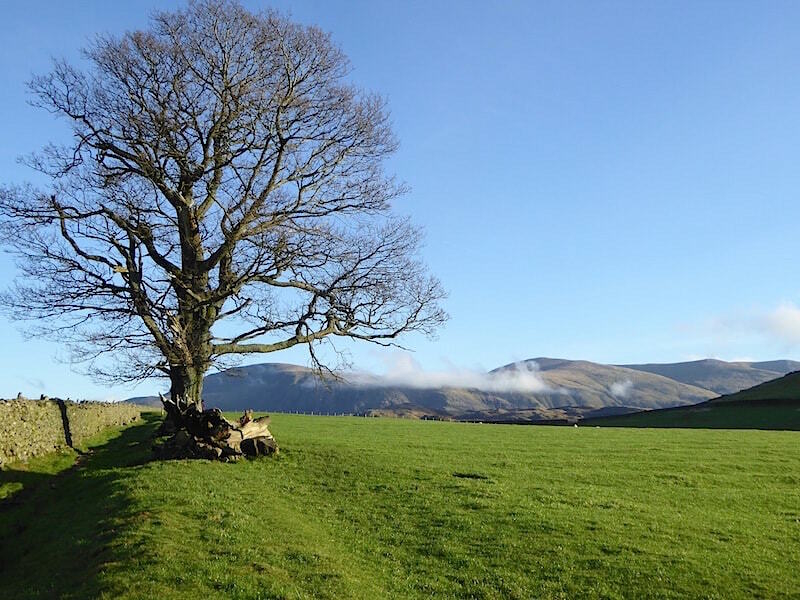 Exercise, fresh air and sunshine – the perfect antidote to the enforced ‘house arrest’ brought about by the atrocious stormy weather over the past couple of months. 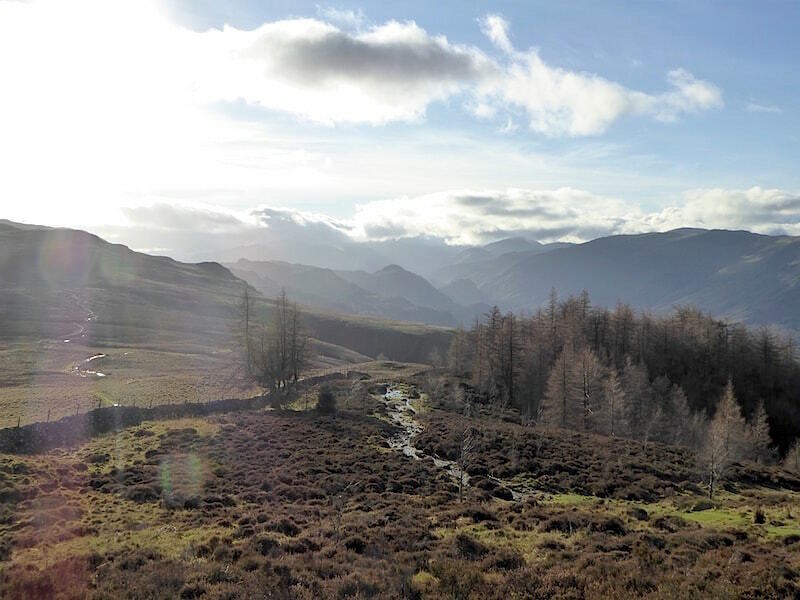 Storm Desmond at the beginning of the month was followed by Storm Eva on Christmas Day and Storm Frank is due to turn up in the next day or two, waterlogged doesn’t even begin to describe the conditions in the Lake District just now. 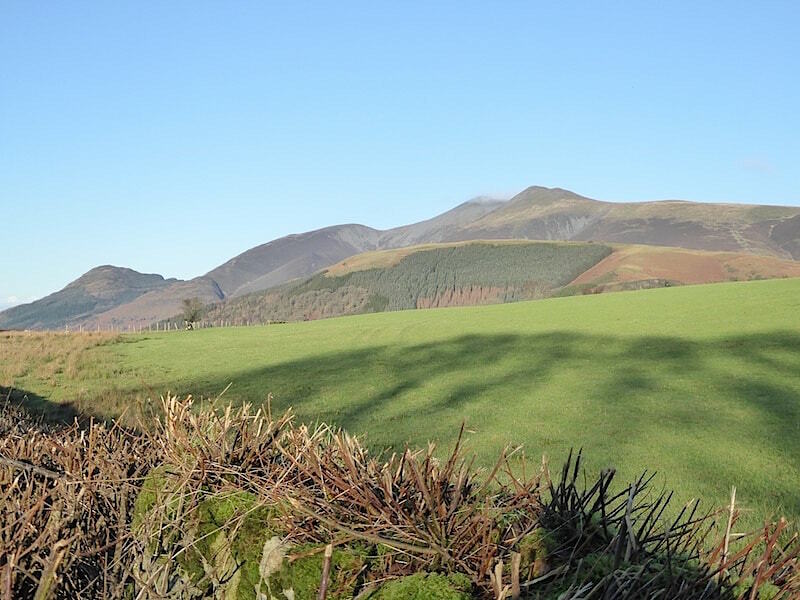 A clear view of Skiddaw from the lay-by on the A591 as we get ready to start our walk. 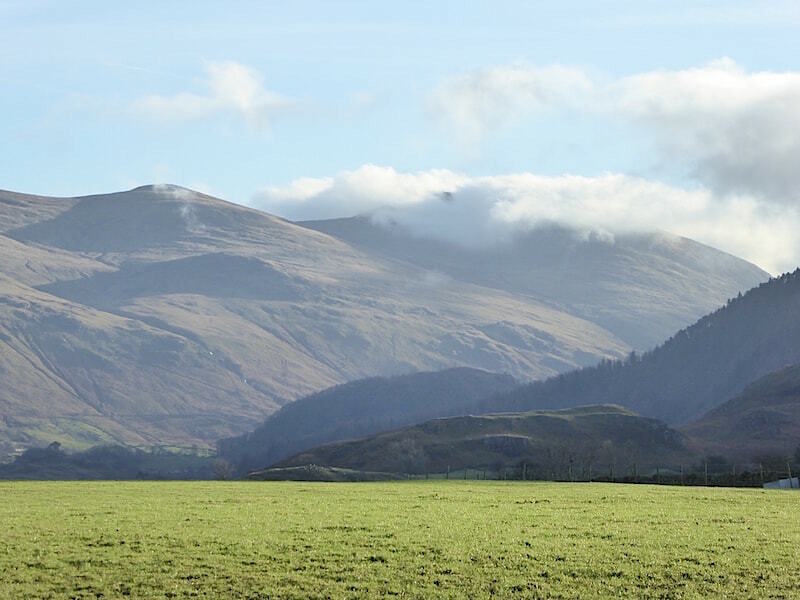 A view of some of the north western fells as we squelch across a very, very soggy field, with every step we sank up to the ankles in the saturated ground. A look across to Bass Lake which looks as though it has retreated almost back to where it should be. Well, the bridge is still there although it has taken a bit of a battering during the storms and isn’t as straight as it should be. You can see the amount of debris which has been brought down with the water. 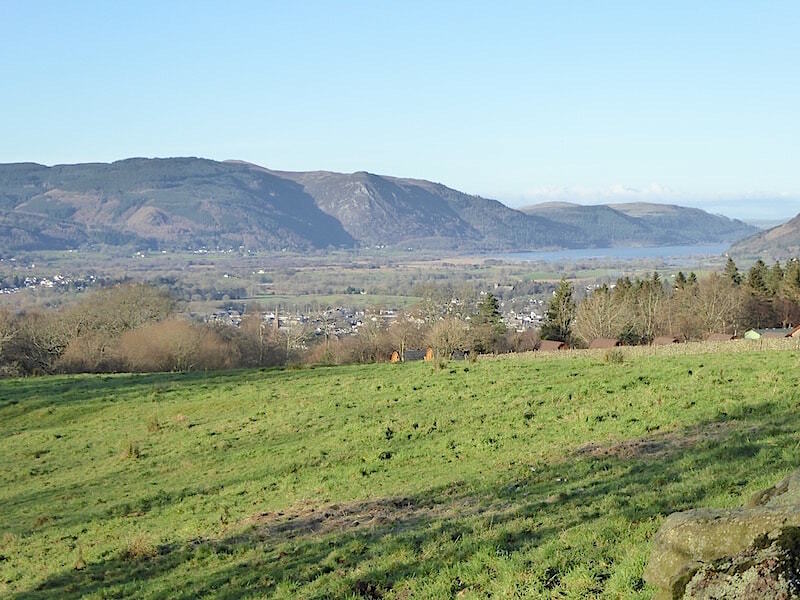 We’ve gained more height so now we have a view over Keswick to the Skiddaw range. 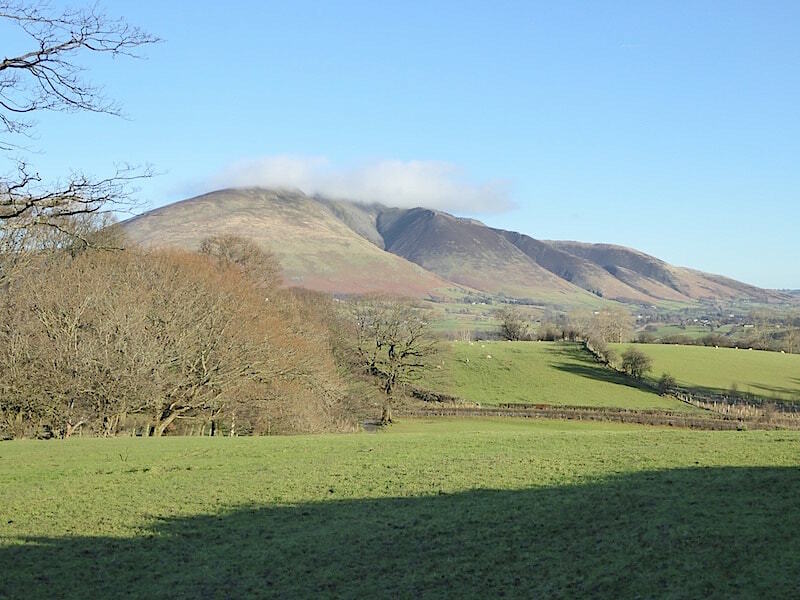 Blencathra still cloud capped over there. The water down there isn’t a named tarn, even so, its a very large pool in a farmer’s field, the same field we squelched over at the beginning of our walk. There are fields full of pools everywhere at the moment. 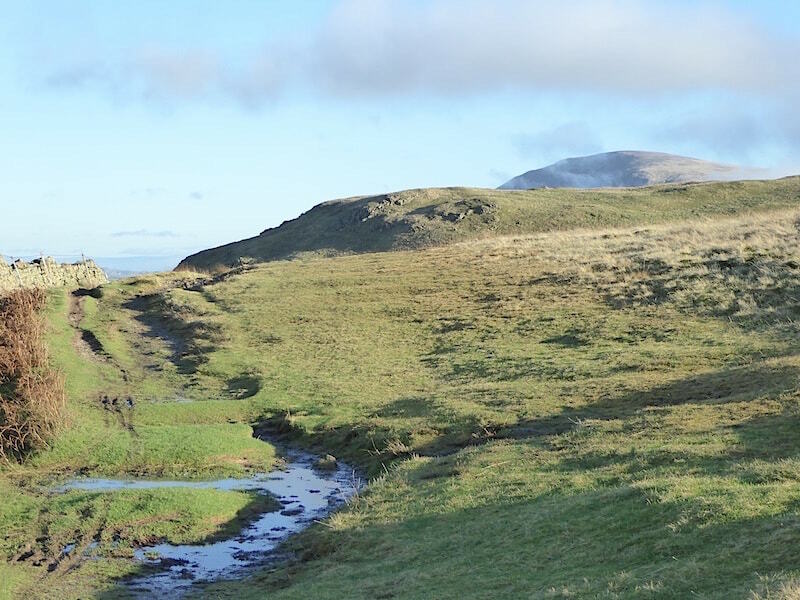 A look back along the path and over to Clough Head and The Dodds on the skyline. 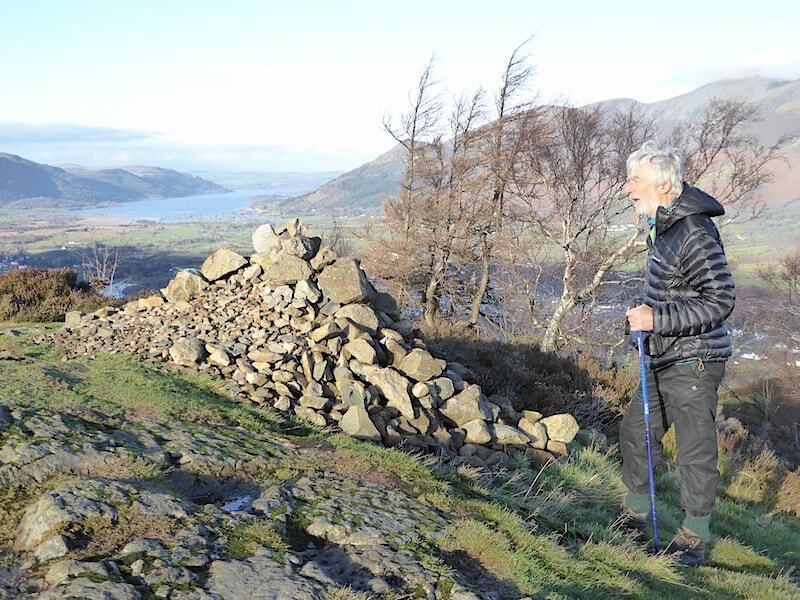 Almost at the top of Walla Crag with a view of the northern end of Derwentwater with Bass Lake beyond. 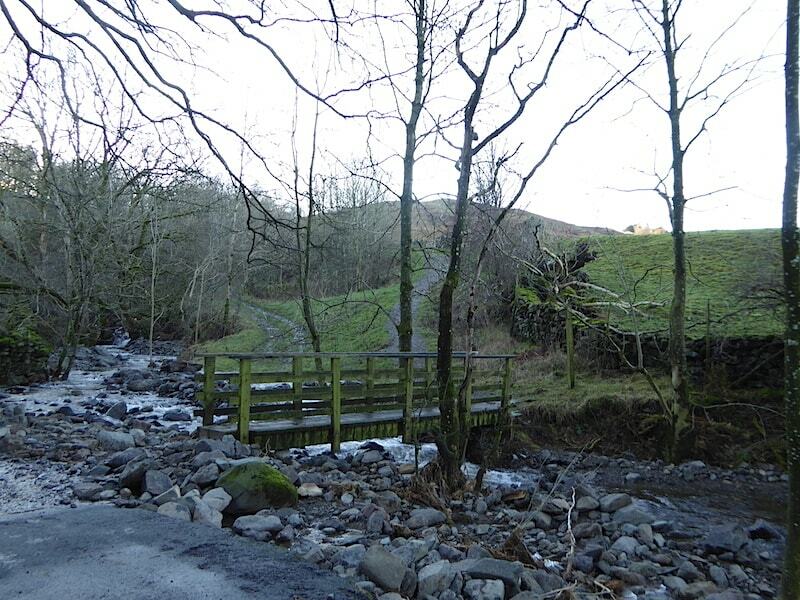 During Storm Desmond Bass Lake flowed over into the green strip of land between the two so you can imagine the mess it caused. 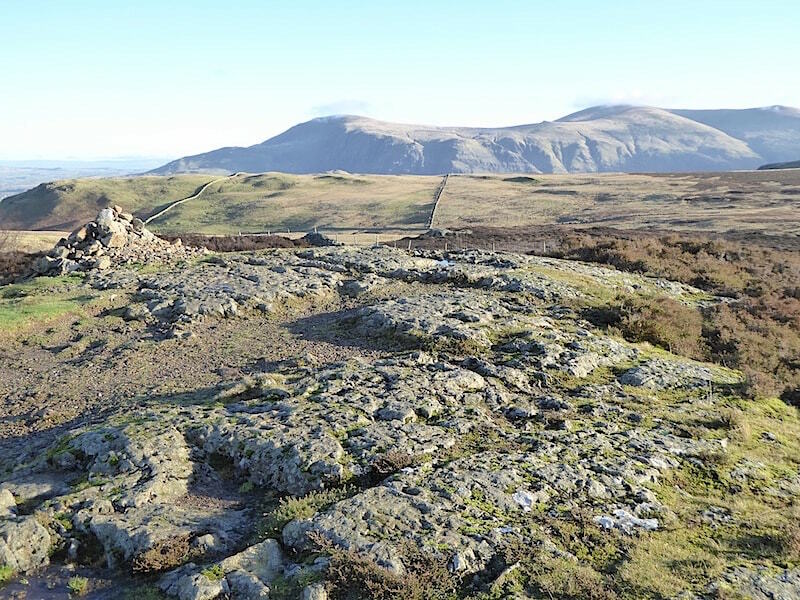 The summit cairn on Walla Crag, looking eastwards to Clough Head and Great Dodd. 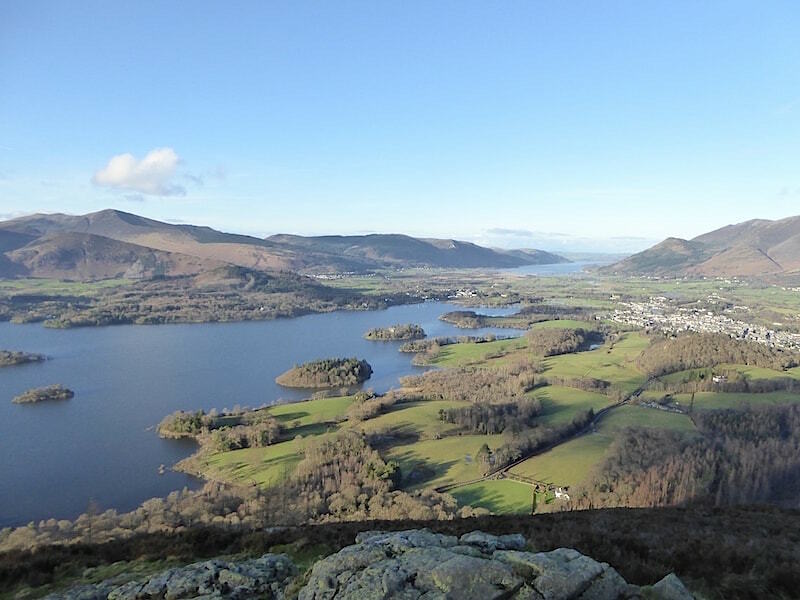 Looking north westwards over Bass Lake from Walla Crag summit. 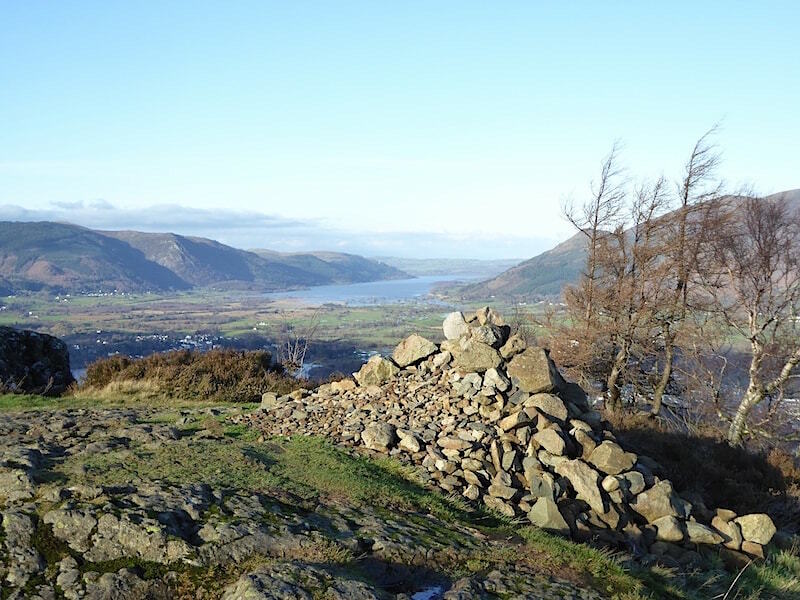 Walla Crag summit in very strong sunshine, we haven’t seen this much sun in weeks! 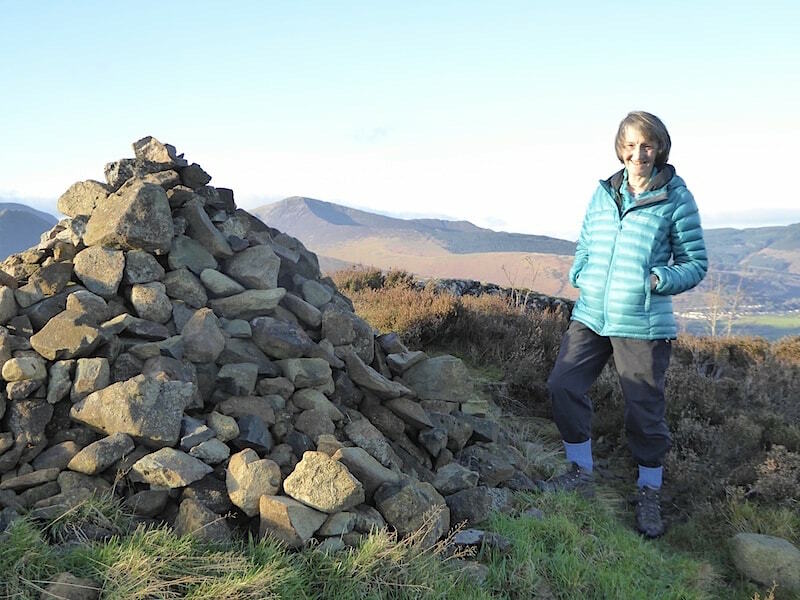 Looking somewhat windblown on Walla Crag. 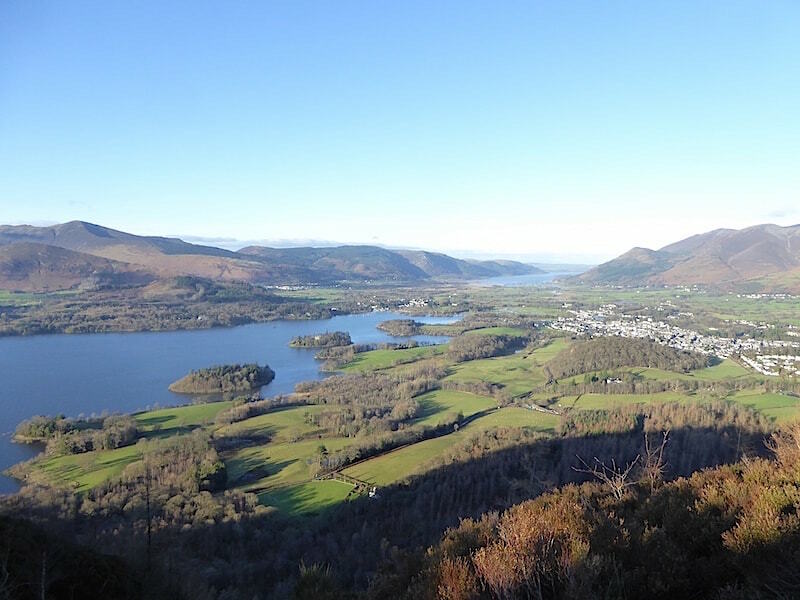 A lovely clear view from Walla Crag summit. 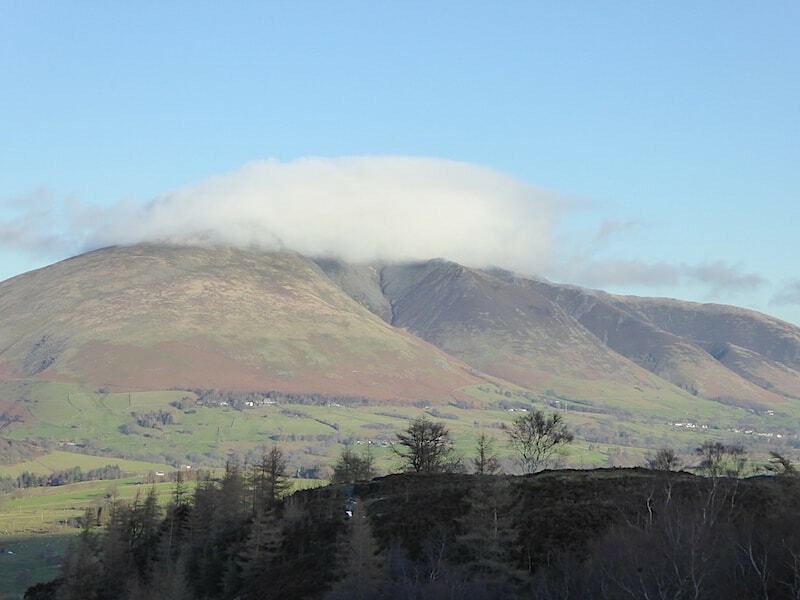 A large build of cloud on Blencathra, there will be some disappointed people up there at the moment. All the effort of getting up there only to have no view, I know how that feels. 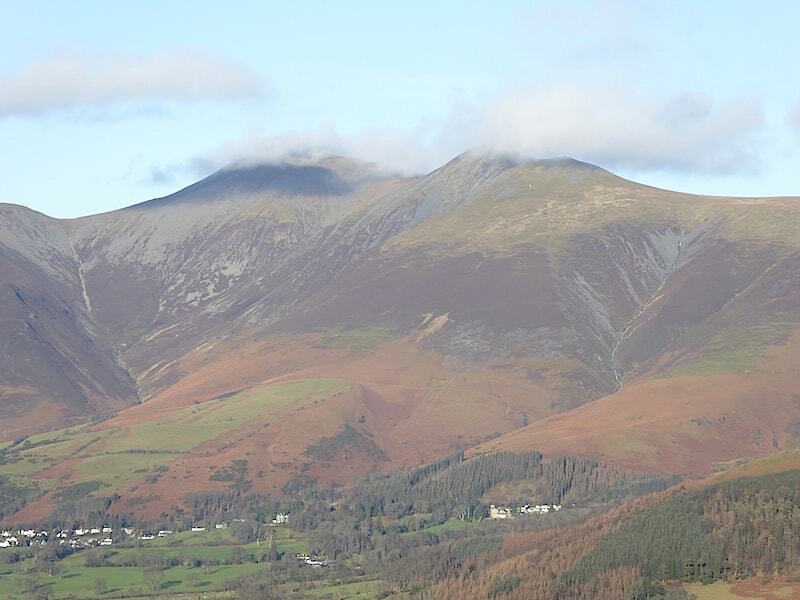 However, it looks to be thinning out over Skiddaw. 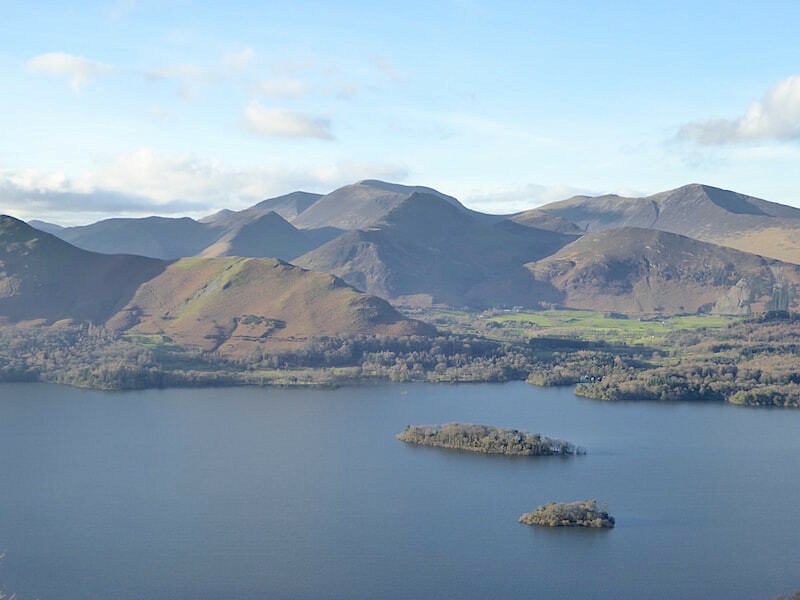 Looking across a very full Derwentwater to some of the north western fells. 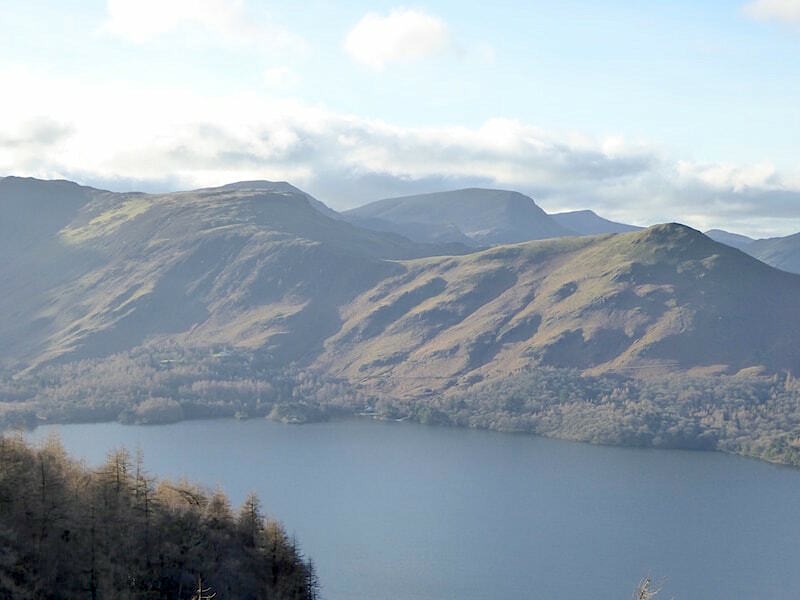 Part of the southern end of Derwentwater, I couldn’t go any further to the left because of the sun. 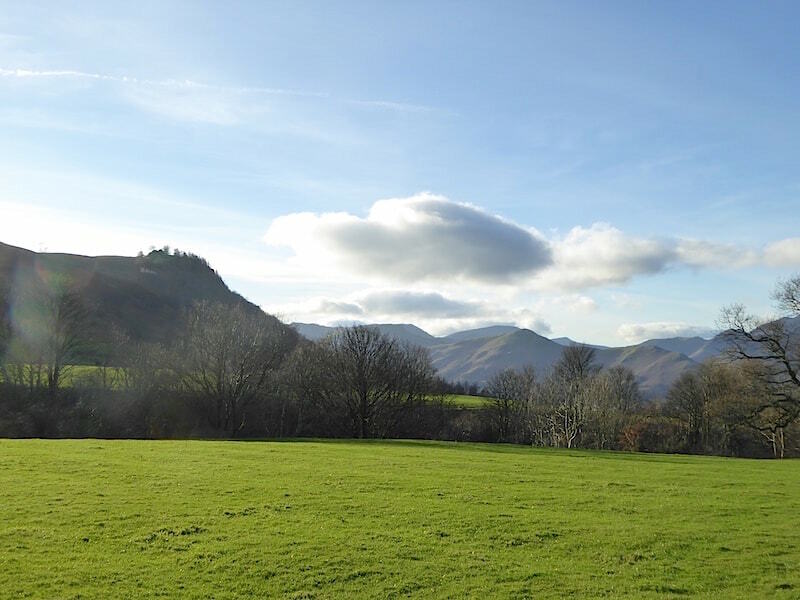 The fell to the right is Catbells, and across to its left is Maiden Moor. 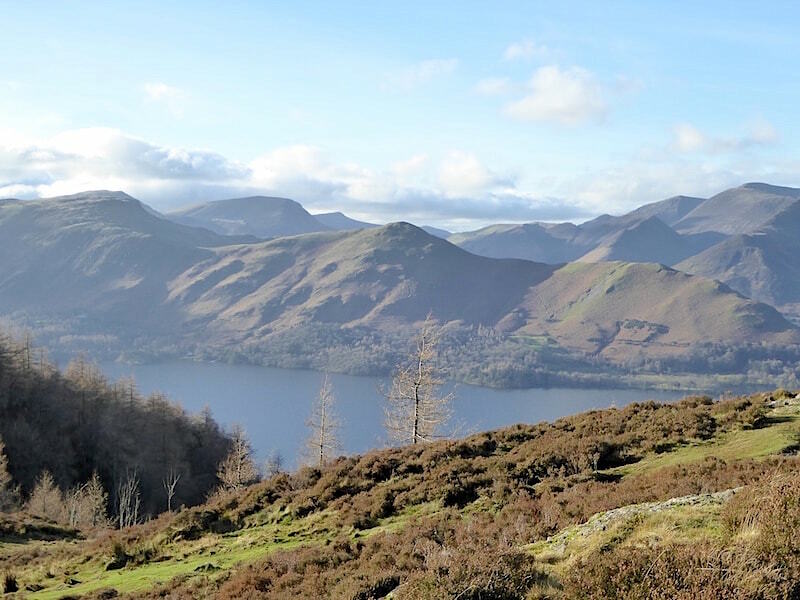 Catbells summit to the left foreground. 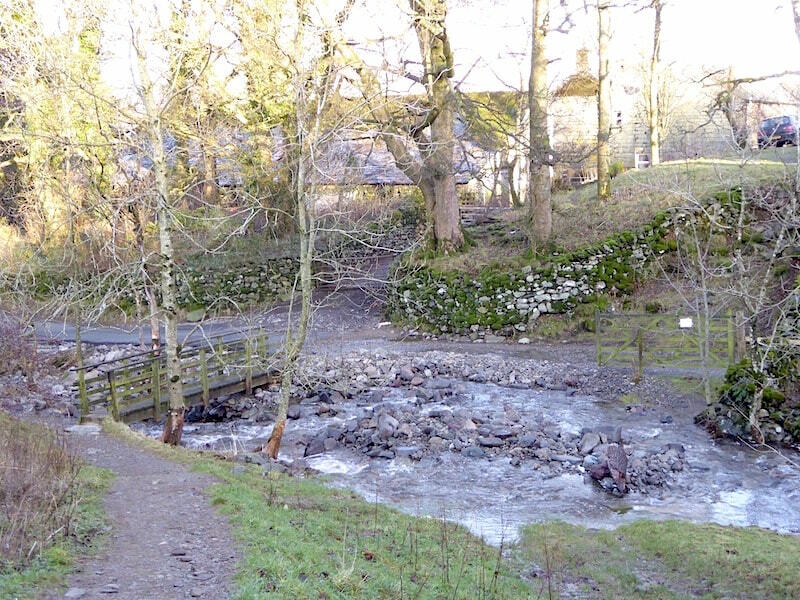 This is usually a very popular walk but there weren’t many people on there today. 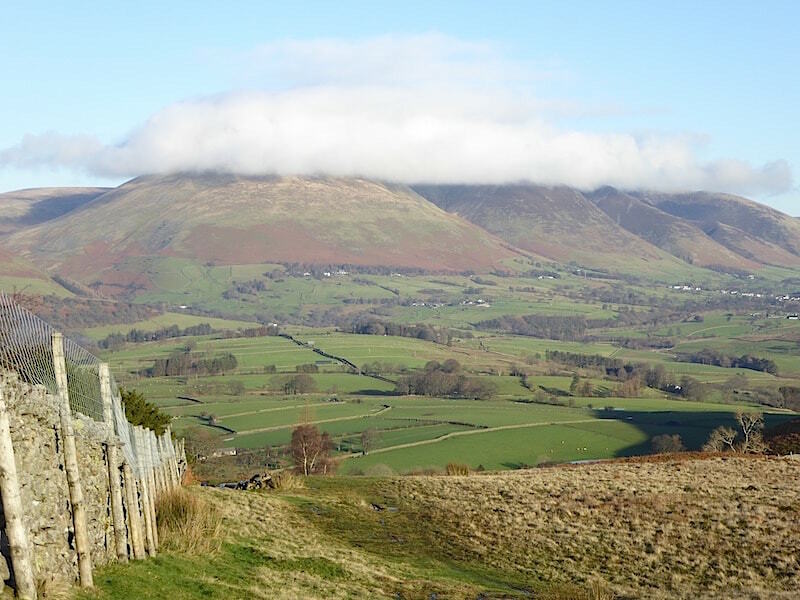 From Walla Crag a look across to Bleaberry Fell. I wouldn’t even think of going over there just yet as it can be a very wet area at the best of times, and this isn’t the best of times. I took a bit of a chance with this one as you can see from the position of the sun. 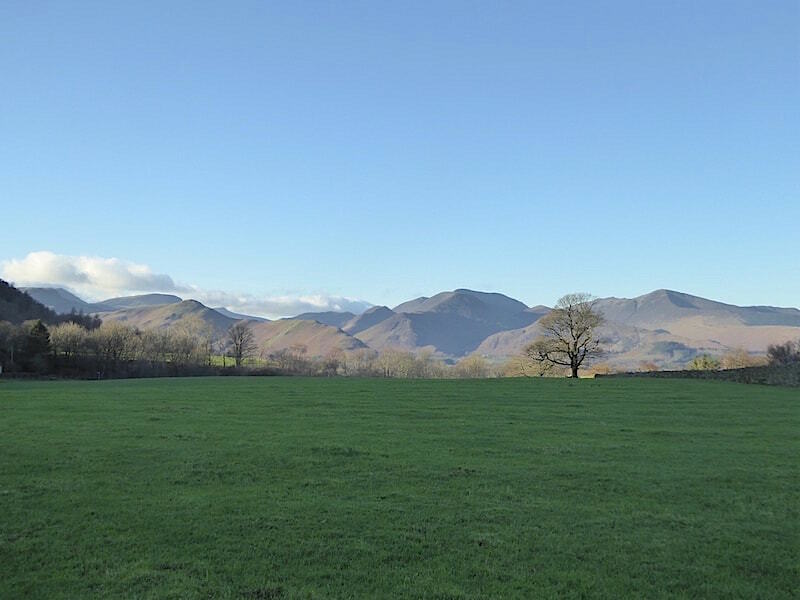 Not a great shot but in the centre you can still make out some of the fells around Borrowdale. 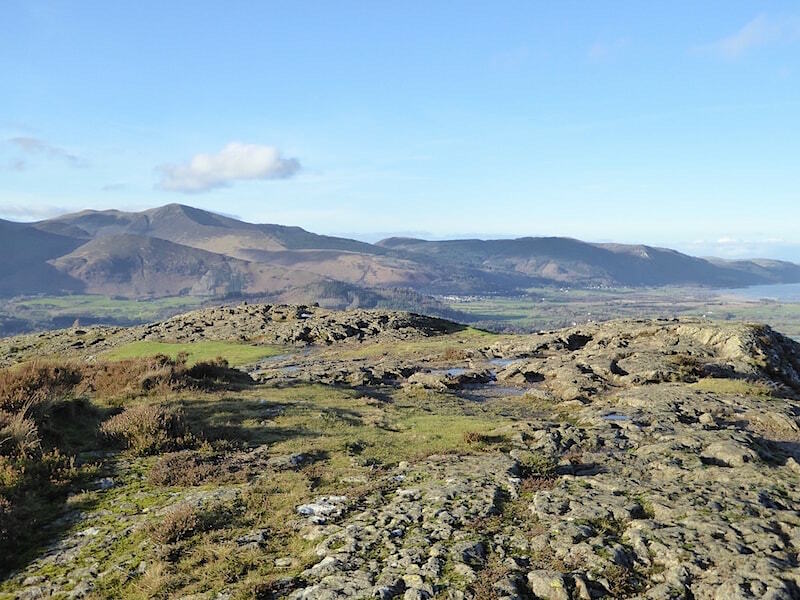 The rocky top of Walla Crag, Grisedale Pike standing out on the left skyline. 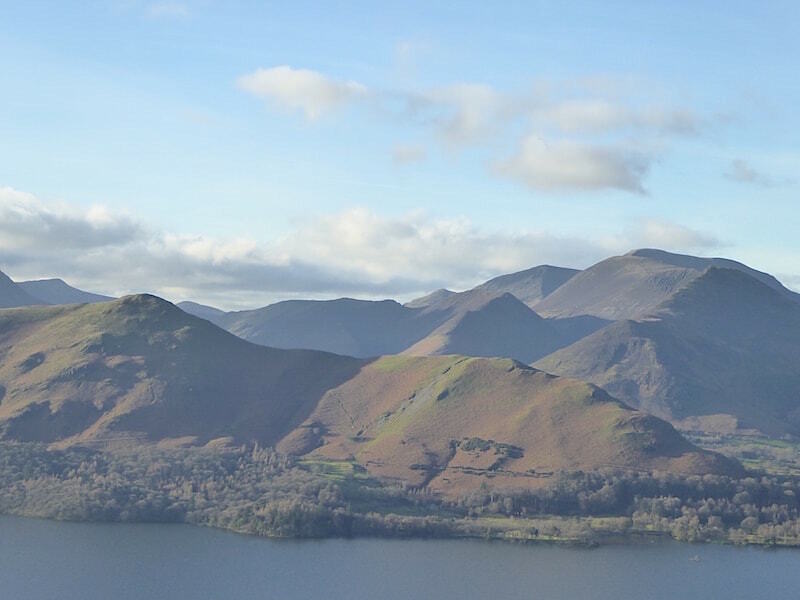 Another view of the north western fells from Walla Crag summit. 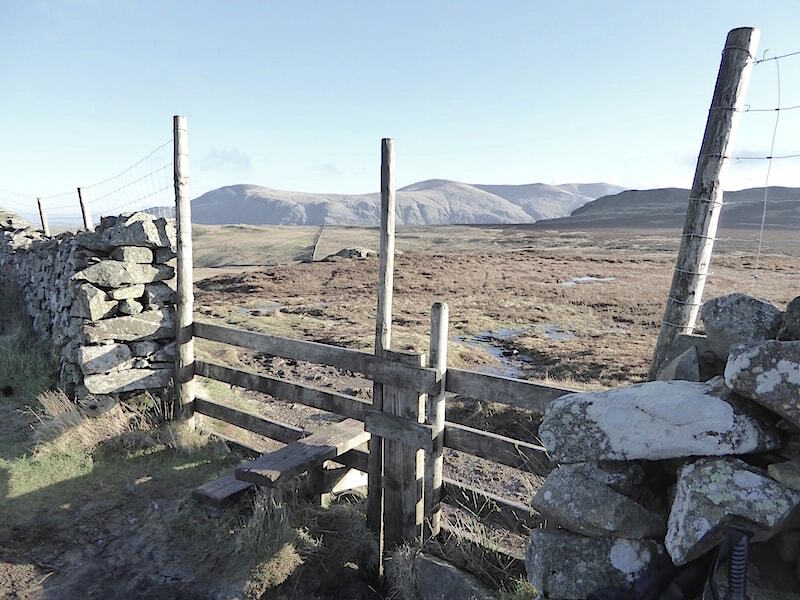 A view eastwards to Clough Head and The Dodds from the stile just below Walla Crag summit. 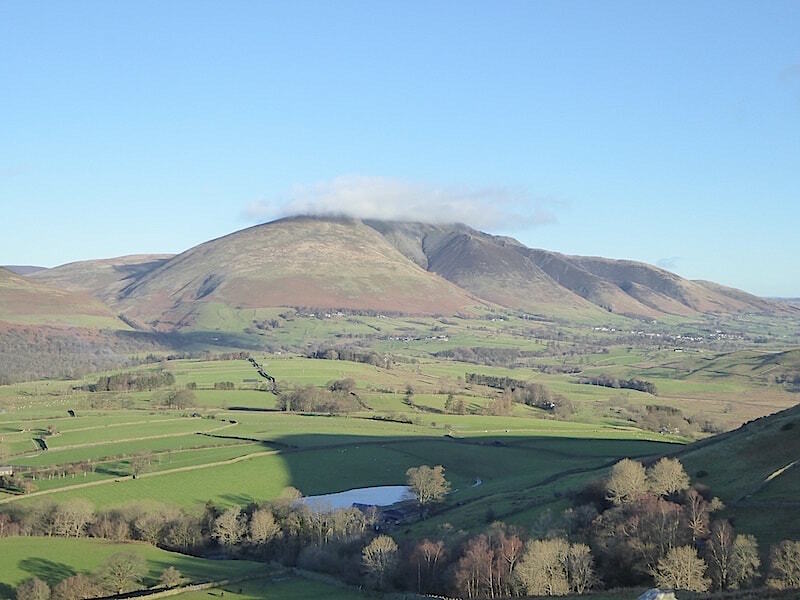 Oh dear, Blencathra’s cloud cap is increasing and descending. The path runs alongside the wall to the left so navigation isn’t difficult along here. Walking along was something else, wet, wet, wet! 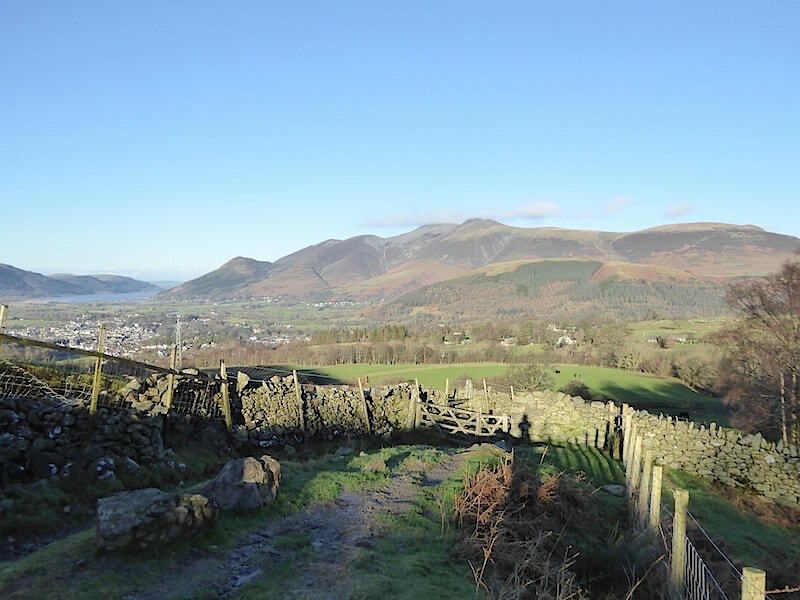 A look back at Walla Crag and the path we’ve been using. 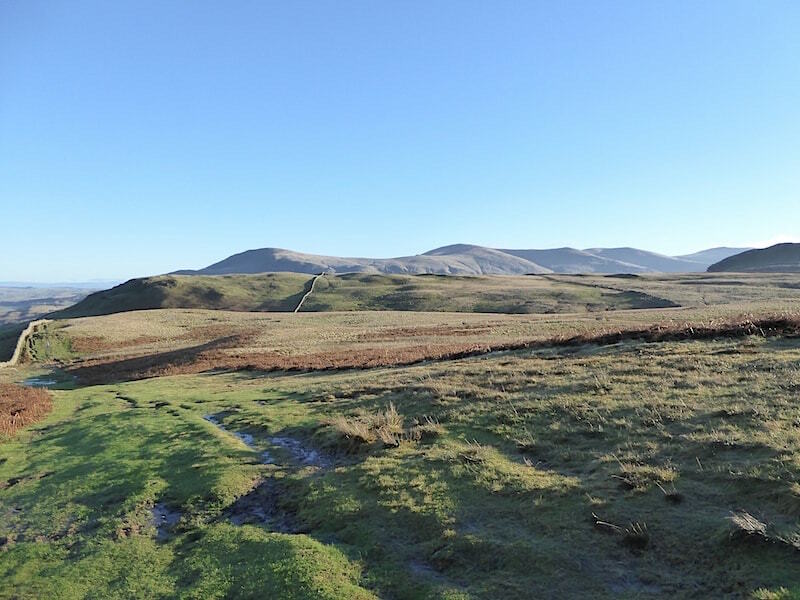 From the same spot but this time looking forward, Clough Head is just peeping above over on the right. 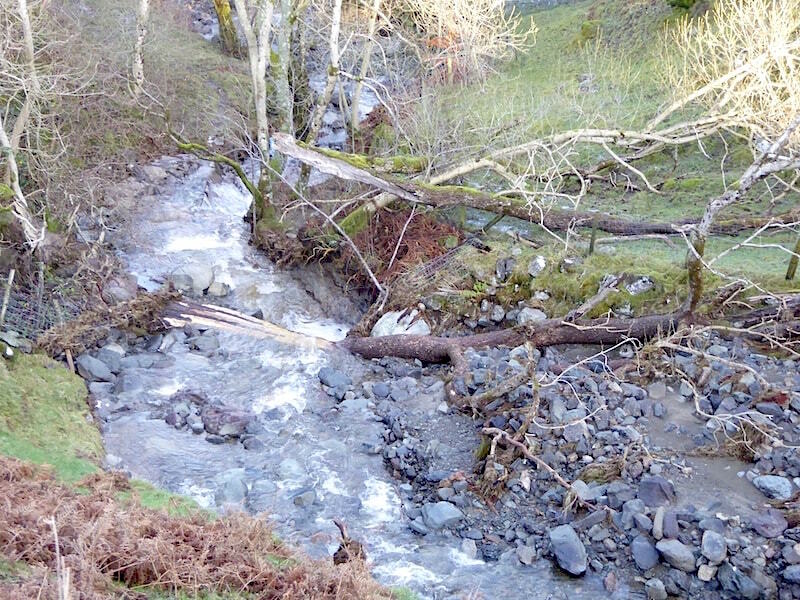 A look down into the beck at the storm damage. Back at the bridge and another view of the debris which has been washed down. I know it doesn’t look it but I think this field was the wettest one I’ve ever walked across. We were ankle deep in spongy, saturated ground with every step. This is the one with the big pool of standing water that appears in an earlier photo. 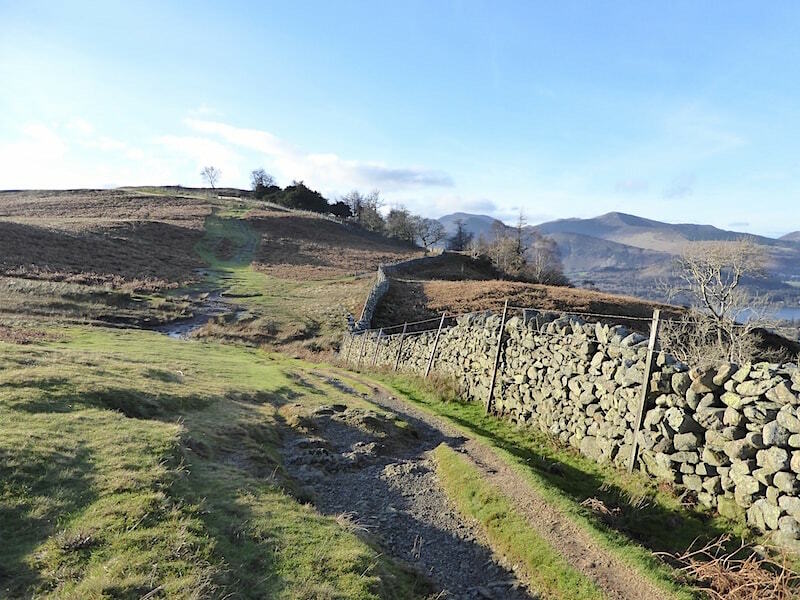 A look back at Walla Crag on the left as we continue on our squelchy, muddy way. 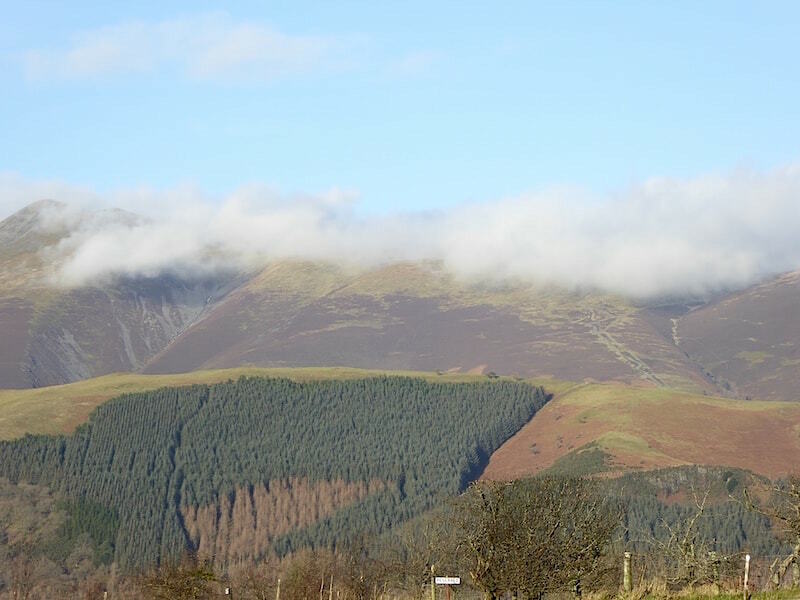 Well, Skiddaw had been clear but suddenly a bit of cloud activity started happening out of nowhere. We’re almost at the end of the walk now so I take another look back. 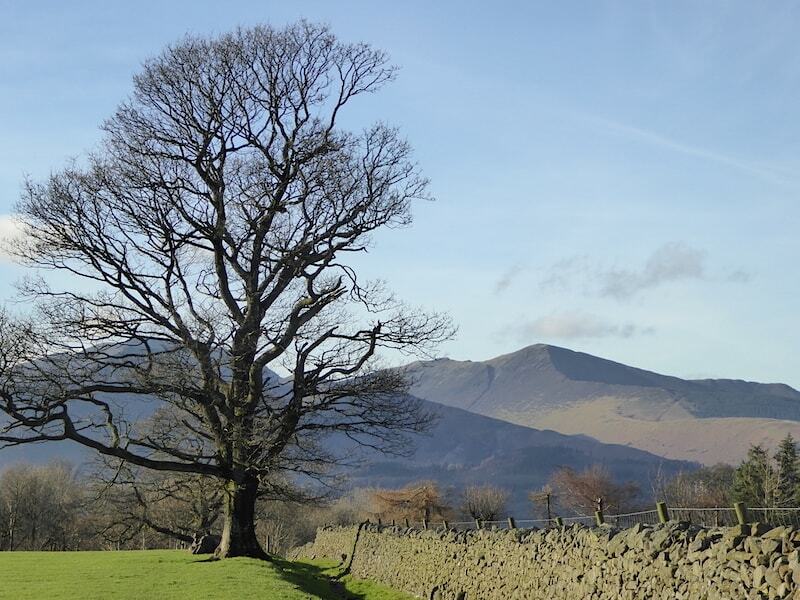 The tree seems to have lost a few branches here and there but looks in good shape otherwise, and it would take a lot more than Storm Desmond to dislodge Grisedale Pike over there. 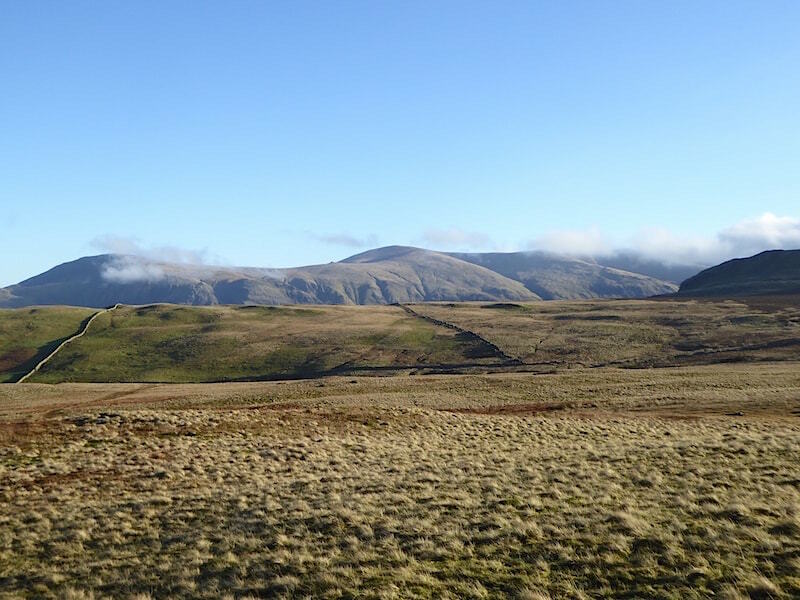 As we walked across the field I noticed a bit more cloud activity, this time over on Helvellyn. I still marvel at how all this just appears quite suddenly, seemingly from nowhere. I know its all the result of moisture + heat = evaporation and condensation, but that doesn’t diminish the wonder of this fascinating process. 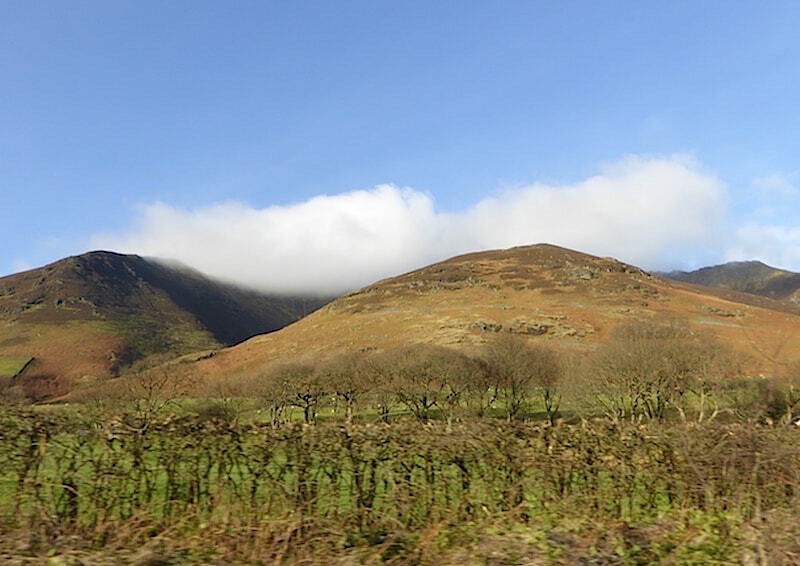 A shot of Blencathra taken from the car as we drove back home, I didn’t expect that one to work out quite so well. 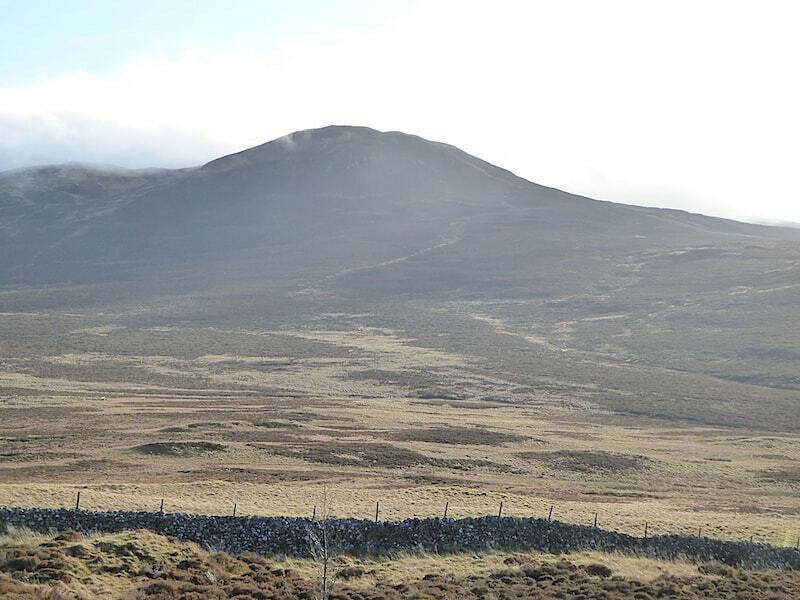 Over on the extreme right of the skyline is the summit, clear at last for any walkers up there. This will be our last walk in 2015 as tomorrow is forecast to be very windy and showery, then Storm Frank is due to descend upon us through Tuesday night and Wednesday, and New Year’s Eve on Thursday is also set to bring more rain.